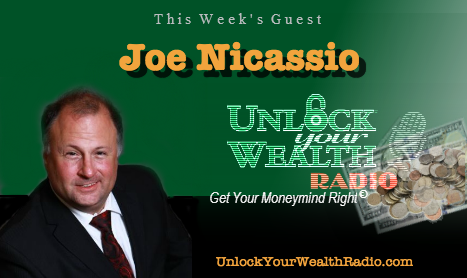 Joe Nicassio, Marketing Systems Architect and author of Resurrecting America’s Entrepreneurial Spirit joins Heather Wagenhals, Host and Executive Producer of Unlock Your Wealth Radio to reveal entrepreneurial and marketing advice for individuals to become stronger and more self-reliant in the work-field. Tune in to the Libsyn platform as Joe explains the new breed of entrepreneurs and how to succeed in this era of entrepreneurship. As America’s leading expert at troubleshooting business problems, Joe has successfully coached hundreds of entrepreneurs to get more customers, to pay them more money, more often, and in the fastest and most cost effective ways possible. In this interview Joe teaches us that it’s not just one thing to be successful as an entrepreneur, but rather there are multiple disciplines and a foundation to build in order to become successful. 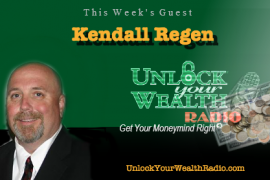 Tune in to the Unlock Your Wealth Radio as Joe reveals the 5 elements you need to for a solid foundation in a company and the two most critical components to achieve this success.